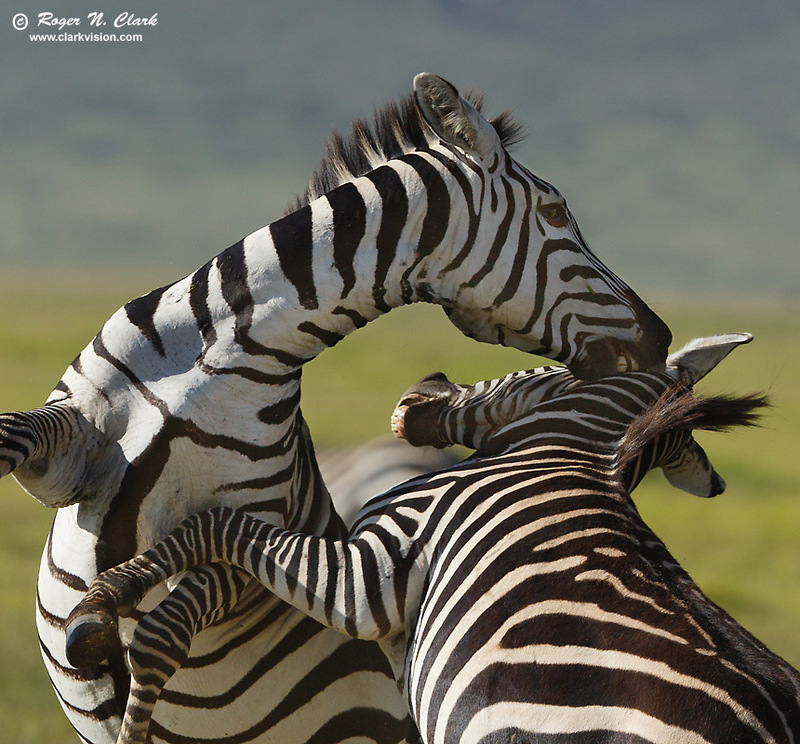 Two zebras fight in Ngorongoro crater in Tanzania, Africa. Technical. Canon 1D Mark IV 16-megapixel digital camera, Canon 300 mm f/2.8 lens at f/5.6, ISO 200, 1/1000 second exposure in th early morning. Manual exposure. Cropped to 6 megapixels.